What does spring bring to mind for you? For our designer Tanya it is Tulips; She has used this iconic flower as her main focus for this beautiful spring layout. 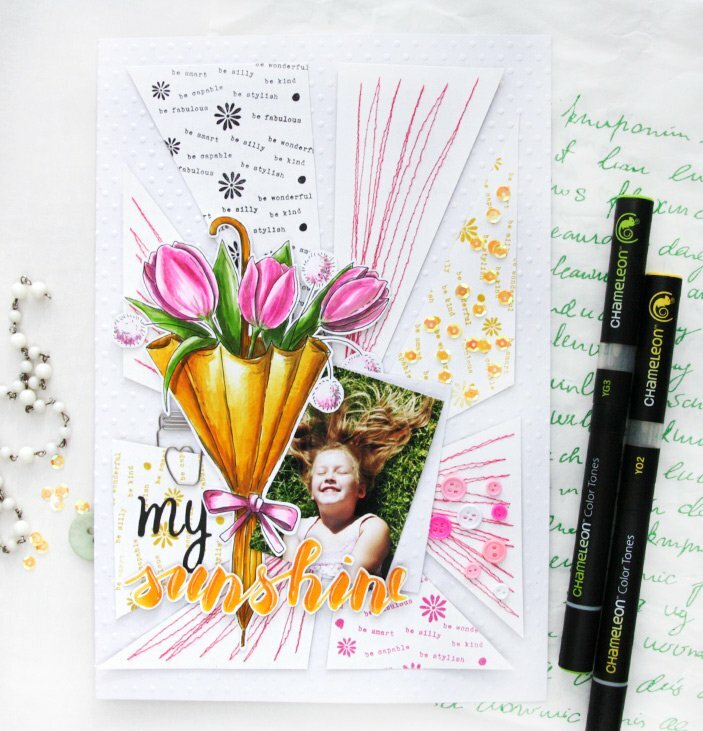 Tanya has used her Chameleon 52 pen set to create this focal bouquet, you can find all the colors she has used in her free Spring Tulip Layout instructions here. What is your favourite spring flower, why not color it in with your Chameleon Art Products and share with us on our Facebook page!